Art on the Underground is a pioneer in commissioning contemporary artworks that enrich the journeys of millions on the Tube every day. 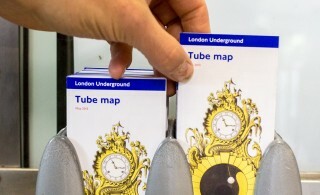 From large-scale commissions at Gloucester Road station to the pocket Tube map cover commissions, Art on the Underground has gathered a roll-call of the best artists over 15 years, maintaining art as a central element of Transport for London’s identity and engaging passengers and staff in a sense of shared ownership. Art on the Underground is delivered by a dedicated curatorial team who together bring a breadth of specialist expertise and experience. The team commission and deliver extraordinary contemporary art projects, programmes and events for audiences in a variety of public settings. London Underground has been one of London’s most consistent and pioneering public sector patrons of the arts due to a commitment to the arts and excellence in design led by Frank Pick, Managing Director in the early 20th Century. Numerous artists, designers and craftspeople have been in every aspect of its architecture, poster design, train livery and upholstery as well as its site specific art commissions in stations. Was the programme always called Art on the Underground? 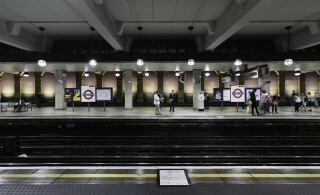 Art on the Underground was originally called ‘Platform for Art’ in 2001. It was renamed ‘Art on the Underground’ in 2007. 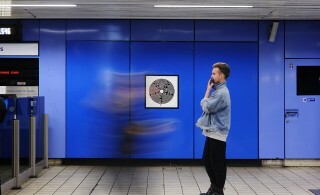 Where can I find more information out about the Art on the Underground programme? I am looking for a poster that I saw on the Tube, where can I buy it? A limited number of Art on the Underground posters, along with a wide range of historical London Underground posters are available to buy via www.ltmuseumshop.co.uk. Please note that Art on the Underground posters are printed in limited runs and therefore may no longer be available. I am an artist - how to I apply to have my work considered for the Art on the Underground programme? Art on the Underground researches and commissions new work developed specifically for the unique London Underground and TFL context. 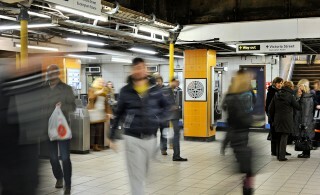 Art on the Underground is curated and programmed by the team approximately two years in advance. Activities are developed in line with the programme’s mission and wider TFL vision. Given the programme’s scope and a challenging context, it is highly unlikely that unsolicited proposals will be taken forward. We are keen to develop our artistic research, therefore please do email [email protected] if you have an upcoming exhibition or project that you would like to make the team aware of. Please note, due to staff capacity, we are not able to enter into any individual correspondences. How can I find out about any jobs or internships at Art on the Underground?